diagram, as indicated in Figure 22.3. 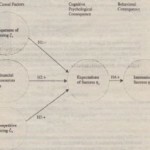 Figure 22.3 represents a simple measurement model having two correlated constructs with each construct being represented by three indicator or measured variables. The assignment of measured variables to each latent construct is graphically equivalent to drawing arrows from each construct to the measured variables that represent that construct. The validity of the measurement model depends on the goodness-of-fit results, reliability, and evidence of construct validity, especially convergent and discriminant validity. As stated earlier, goodness of fit means how well the specified model reproduces the covariance matrix among the indicator items. Thai is, how similar is the estimated covariance of the indicator variables (rk) to the observed covariance in the sample data (S). The closer the values of the two matrices are to each other, the better the model is said to fit. As shown in Figure 22.4, the various measures designed to assess fit consist of absolute fit, incremental fit, and parsimony fit indices. In contrast to the absolute fit indices, the incremental fit indices evaluate how well the specified model fits the sample data relative to some alternative model that is treated as a baseline model. The baseline model that is commonly used is the null model that is based on the assumption that the observed variables are uncorrelated. 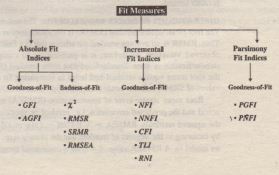 These are goodness-of-fit measures, and the commonly used incremental fit indices include the normed fit index (NFl), non-normcd fit index (NNFI) , comparative fit index (CFI) , the Tucker Lewis Index (TLI). and the relative non centrality index (RNI). PARSIMONY FIT INDICES It should be emphasized that parsimony fit indices are not appropriate for evaluating the fit of a single model but are useful in comparing models of different complexities. The parsimony goodness-of-fit index (PGFI) adjusts the goodness-of-fit index by using the parsimony ratio that was defined earlier. The values of PGFI range between °and I. A model with a higher PGFI is preferred based on fit and complexity. The parsimony normed fit index (PNFI) adjusts the normed fit index (Nfl) by multiplication with the parsimony ratio. Like PGFI, higher values of PNFI also indicate better models in terms of fit and parsimony. Both PGFI and PNFI should be used only in a relative sense, i.e., in comparing models. PNFI is used to a greater extent as compared to PGFI . Of the measures we have considered, CFI and RMSEA are among the measures least affected by sample size and quite popular in use. It is highly desirable that we use multiple (at least three) indices of different types. It is a good practice to always report the X2 value with the associated degrees of freedom. In addition, use at least one absolute goodness-of-fit, one absolute badness-of-fit, and one incremental fit measure. If models of different complexities are being compared, one parsimony fit index should also be considered. 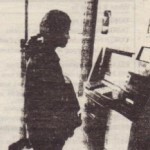 cues that can be used to malee appropriate modifications include (I) the path estimates or loadings, (2) standardized residual, (3) modification indices, and (4) specification search. 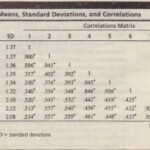 As noted earlier, residuals refer to the differences between the observed covariances (i.e the sample data) and the estimated covariance terms. A standardized residual is the residual divided by its standard error. The following guidelines are observed with respect to the absolute values of the standardized residuals. Absolute values of standardized residuals exceeding 4.0 are problematic, while those between 2.5 and 4.0 should also be examined carefully but may not suggest any changes to the model if no other problems are associated with the corresponding indicators or observed variables. A specification search is an empirical approach that uses the model diagnostics and trial and error to find a better-fitting model. It can be easily implemented using SEM software. 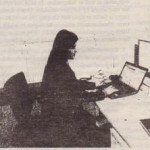 In spite of this, the approach should not be used without caution because there are problems associated with determining a better-fitting model simply based on empirical data. We do not recommend this approach for the non expert user. 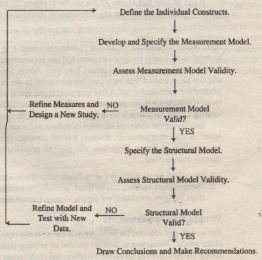 Assessing the validity of the structural model involves (1) examining the fit, (2) comparing the proposed structural model with competing models, and (3) testing structural relationships and hypotheses . parameters are estimated in the structural model. Therefore, the value of X2 in a recursive structural model cannot be lower than that in the corresponding measurement model. In other words, a recursive structural model cannot have a better fit. Thus, the fit of the measurement model provides an upper bound to the goodness of fit of a structural model. The closer the fit of a structural model is to the fit of a measurement model, the better. The other statistics and guidelines for assessing the fit of a structural model are similar to those discussed earlier for the measurement model and the same fit indices are used.